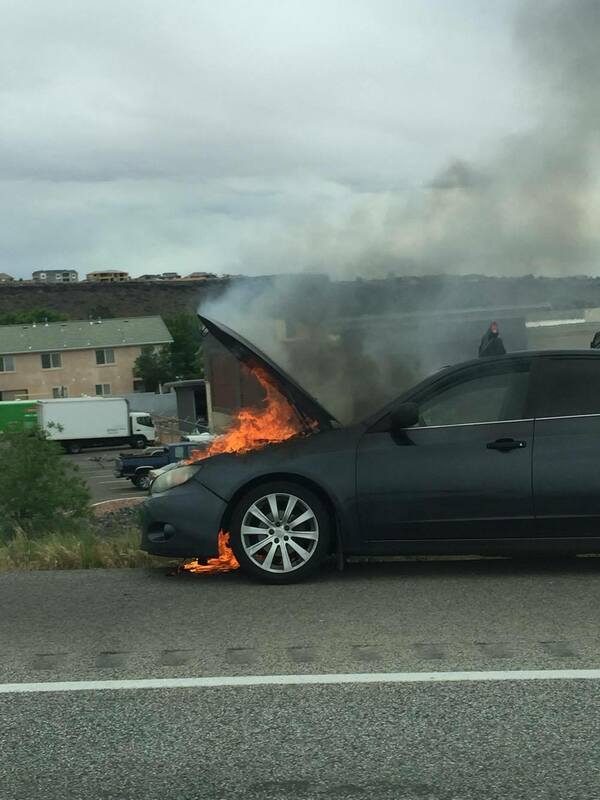 ST. GEORGE — A passenger car caught on fire in the northbound lanes of Interstate 15 on Wednesday afternoon, disrupting traffic and reducing the interstate to one lane for a short time. 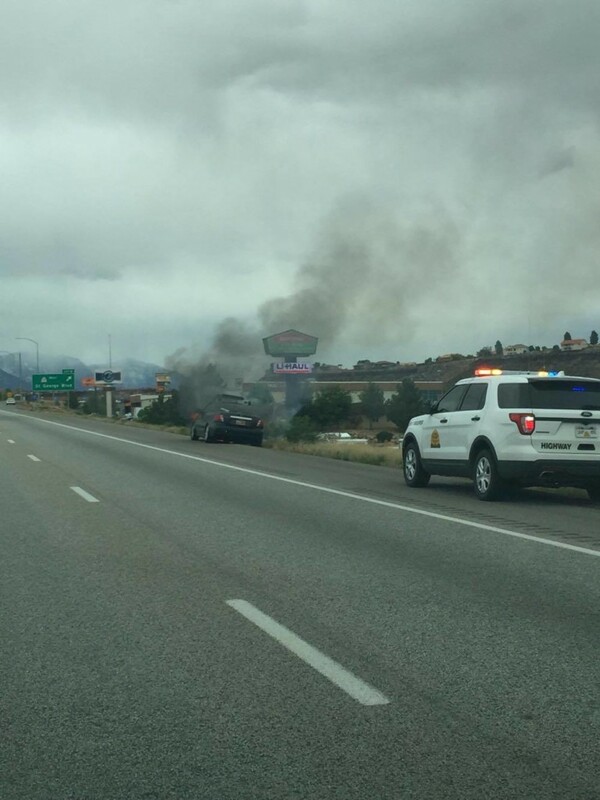 At approximately 2 p.m., emergency responders received reports of a vehicle fire on I-15 northbound, near mile marker 8 – St. George Boulevard exit, St. George Fire Department Battalion Chief Robert Hooper said. 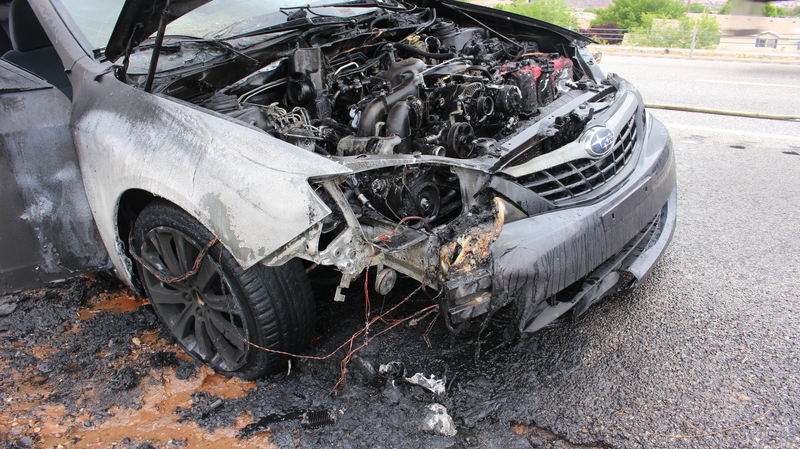 Upon arrival, firefighters found a fully-involved fire in the engine compartment of a gray Subaru sedan. 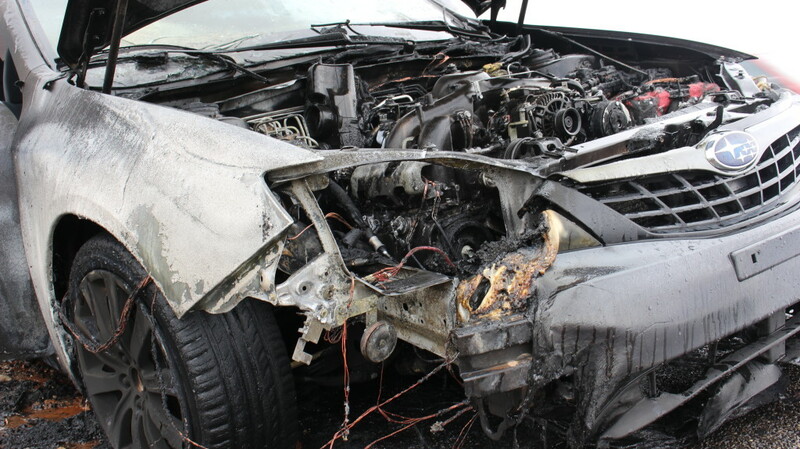 Crews were able to extinguish the fire in a matter of minutes. 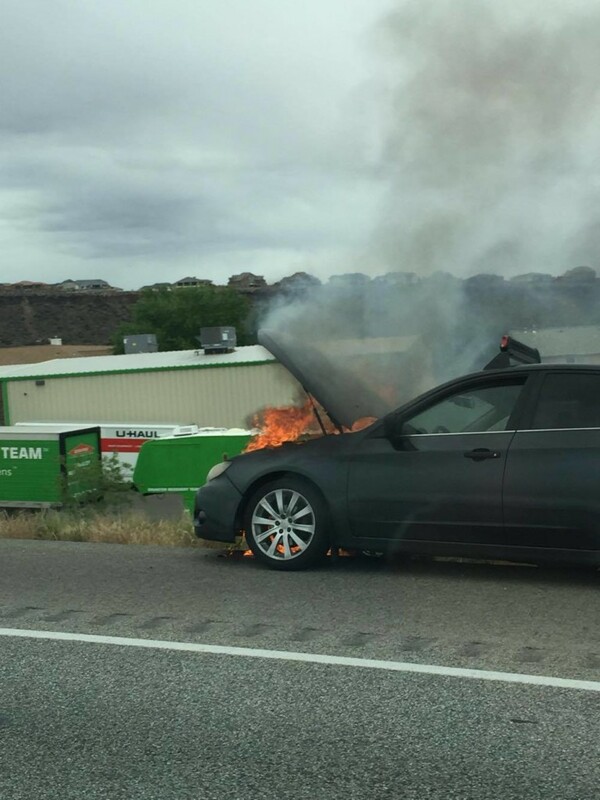 “Occupant said he was traveling north, saw some smoke coming out of the back and he quickly pulled over. There was (sic) no injuries or any other damage at that point, just the damage to the vehicle itself,” Hooper said. Emergency crews closed down the right lane in order to extinguish the blaze, which caused traffic in the left lane to slow and created a significant backup for a short time. 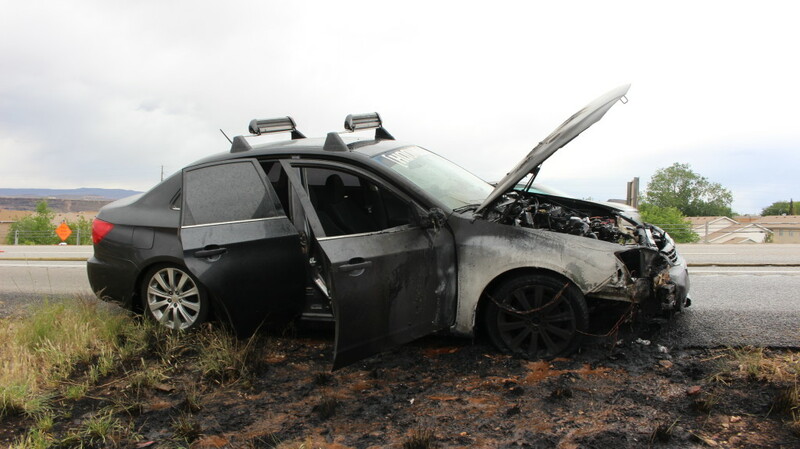 The heat from the fire scorched and melted the engine compartment of the Subaru and a circle of burnt grass surrounded the vehicle. 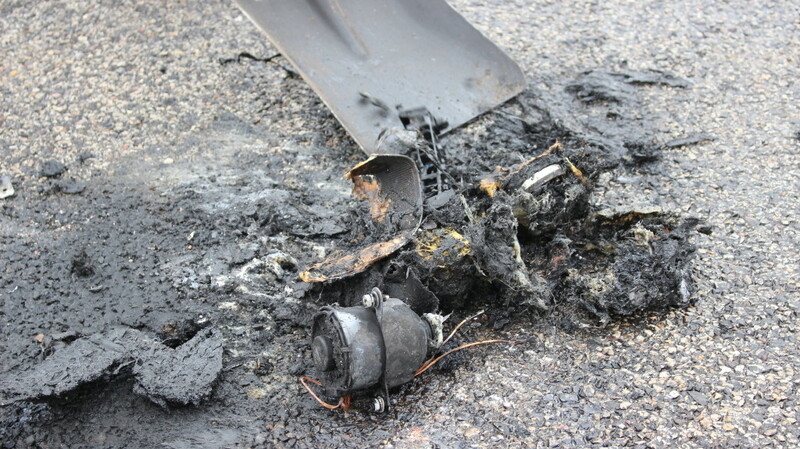 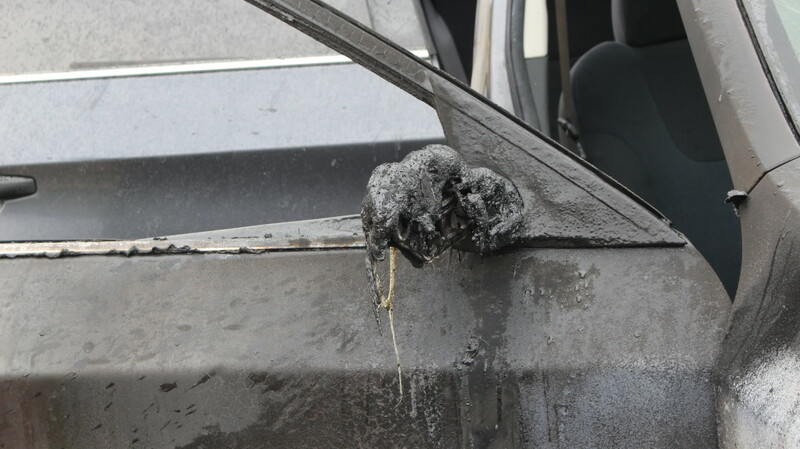 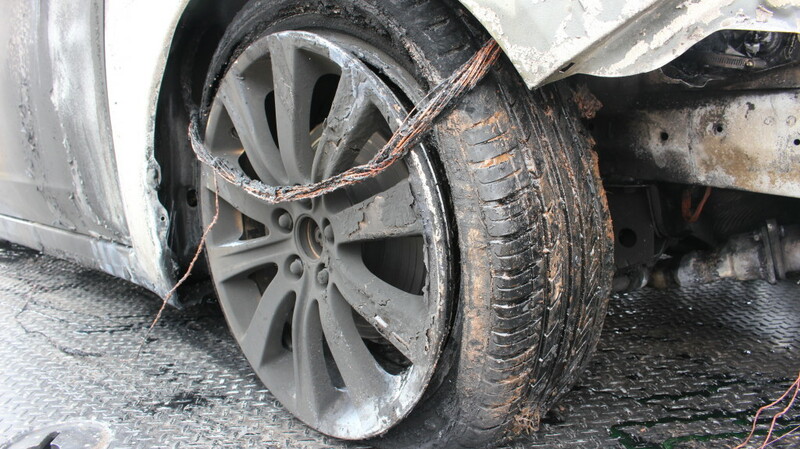 A pile of melted debris remained stuck to the Interstate shoulder, despite attempts by the tow truck driver to remove it. 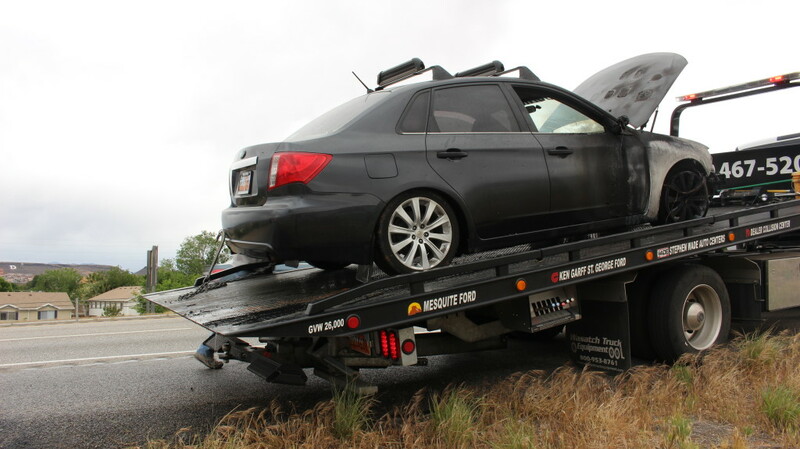 The Subaru was towed from the scene. 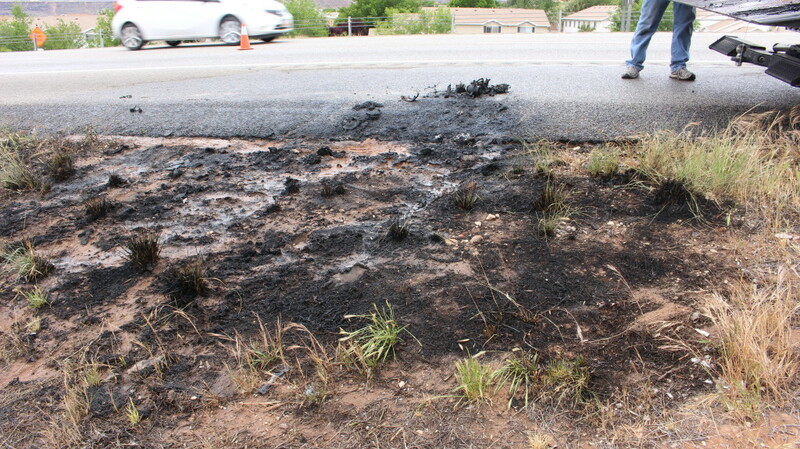 St. George Fire Department, St. George Police Department and the Utah Highway Patrol responded to the incident.